Some of my favorite photos from a week in Colorado. 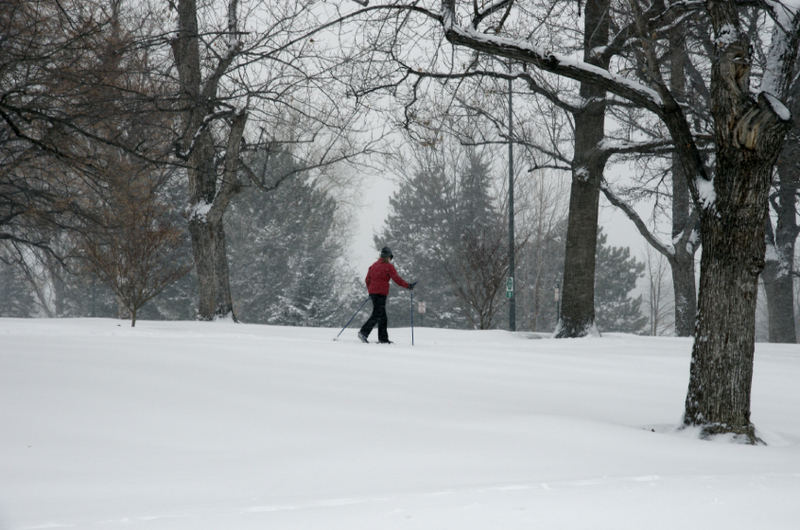 We finally had a big snow storm in Denver. This was the view of my local Washington Park as I drove into downtown Denver on Sunday afternoon to visit the NAHBS. Attendance at the bike show was dampened this year because of the winter storm, but the show was interesting and I learned lots. On a side-note, can I just mention - I love Facetime - how fun it was to take my Mother, sitting in California, on a visual tour of the snow accumulated outside my house this weekend. 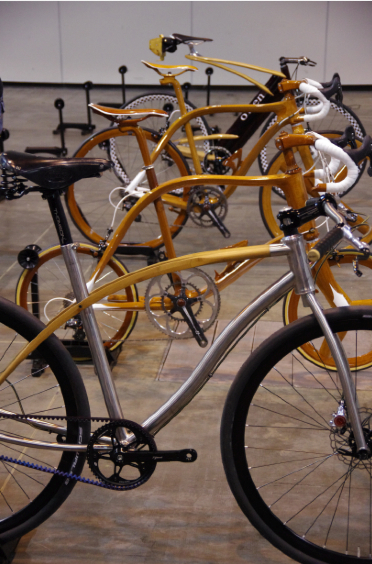 I attended the handmade bike show (NAHBS) in Denver this weeked, and yes, I did site Brian Worthy all 3 days (I forgot to take a picture!). However the highlight of the weekend for me was overhearing Mark Niemeic of Mavic say, "That would be my take home bike, if I had a choice." "Which bike?" I interupted, "Which one would you pick?" "The real bike from Breaking Away," Mark repeated. Whaaaa. It's here?! "Yes, I'll take you to it." And so he did. And I want it too. 1. 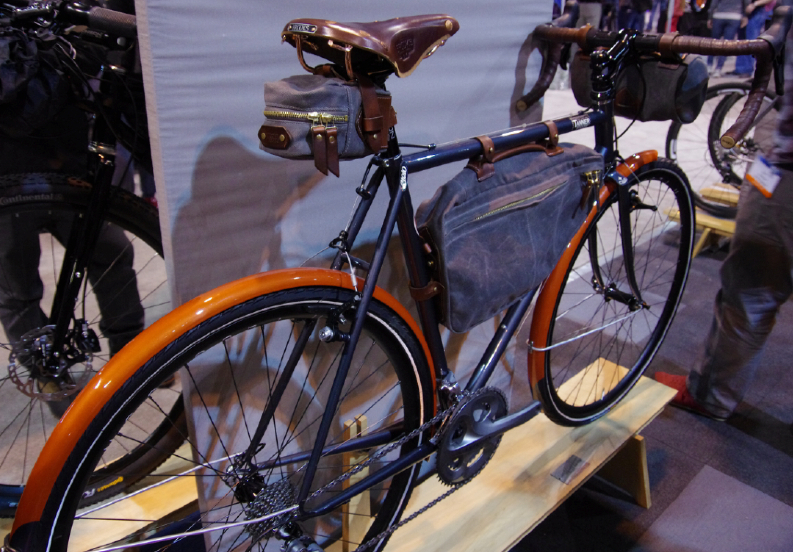 This Cielo bike outfitted with Shimano Ultegra, Tanner custom leather saddle bags, Continental Contact tires, and a Brooks saddle. Not over the top yet functional, although far too nice to leave chained to a bike rack. 2. 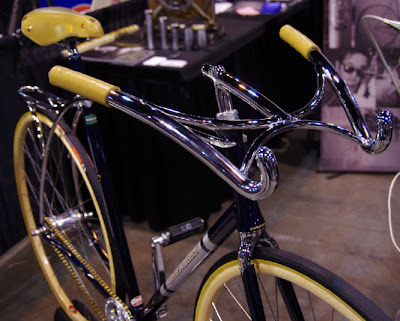 This prize winning work of art urban bike by Cherubim by Shin-Ichi Konno. 3. And the Breaking Away Masi "Mamma, Pappa" bike. 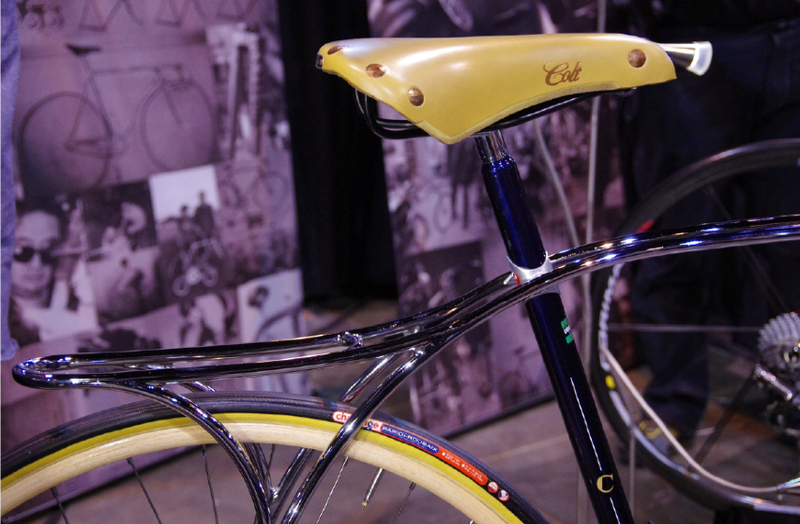 Of course I had to come back to this bike, wouldn't you want this bike sitting among your collection! 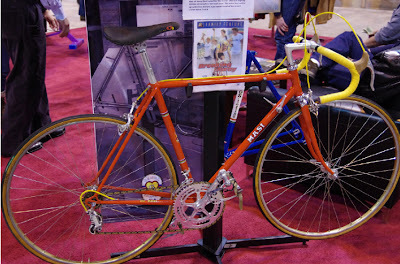 Breaking Away (film release 1979): I couldn't resist - Enrico Gismondi's 1978 Masi bike on video - oh the memories! A bit of Trivia: Although the movie was filmed at the track where Wayne and Dale Stetina (Uncle and father to Peter Stetina of Garmin-Sharp) raced a similar lap format race in college called the Little 500, the movie was filmed while the pair were off racing in Europe. 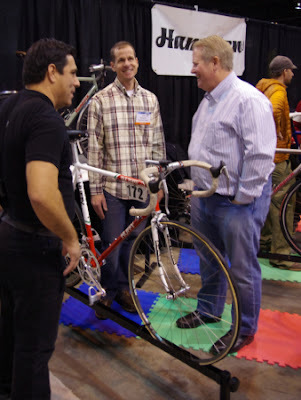 Their younger brother Jole and Father Roy were extras in the road race segments of the Breaking Away movie. Wayne's IU college roommate Gary Ribar filled in as double for the main character in the movie and was the actual rider on the Masi behind the semi-truck. Today Wayne Stetina is a V.P. with Shimano. More Trivia: Andy Hampsten was not in the film, although he was born in nearby Columbus, Ohio, and was only 17 years-old at the time the movie was filmed. The Stetinas grew up in Cleveland, Ohio but attended Indiana University. The movie was filmed at the University and the final track race was filmed at Memorial Stadium on the IU campus, where the well-know Little 500 was held. The stadium was demolished 4 years after the filming of the movie (summer of 1978). 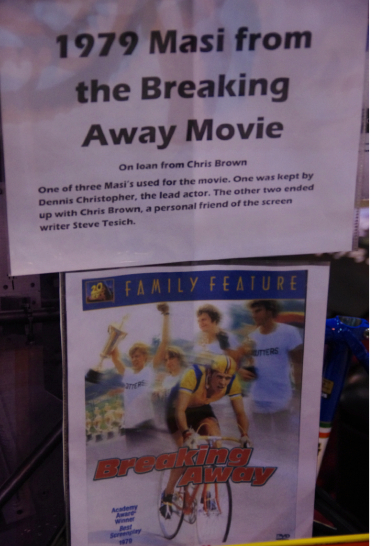 Wayne Stetina disclaims the movie was based on his story. More Trivia: John Vande Velde, father of Christian Vande Velde (Garmin-Sharp), and a three-time national champion in the individual pursuit and a two-time Olympian on the track, was also an extra in the movie Breaking Away. He was one of the bad guys on the fictional Italian Team Cinzano. 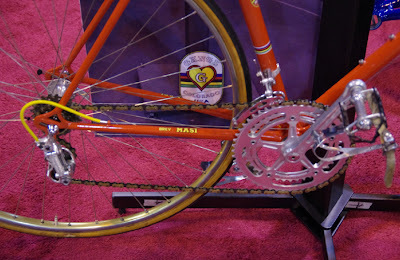 On second thought, I'd also like to take home Andy Hamspten's Giro winning bike. And Andy Hampsten. I hear he can cook Italian food and I bet he can tell some good stories. 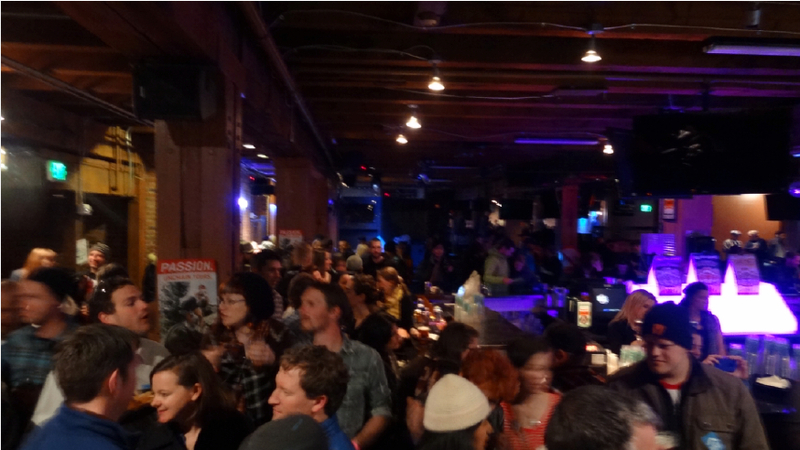 The NAHBS had a really fun party at Blake St Tavern on Friday night hosted by Gates Carbon Drive and Oskar Blues to benefit Bike Denver and Trips for Kids. I witness my friend Scott Christopher (of Bicycle Colorado) put together a bike in about 10 minutes during a competition among mechanics. The place was packed to capacity with a fun mix of so many friends I have met over the years and many more new friends I met that night. It was fun to see everyone at a party versus a race. Even Brian Worthy was in this crowd. promise. Europe got lots of snow this week as well and Kuurne-Brussels-Kuurne in Belgium was canceled due to so much snow the road were deemed unsafe for riders. It was only the third time the race had ever been canceled in it's 68-year history (1986, 1993, 2013). Up that valley to the left - Col du Tourmalet; Up that valley to the right - Luz Ardiden; Straight to the left - Hautacam; Hang a sharp right - Col du Soulor; Stay put - heaven.